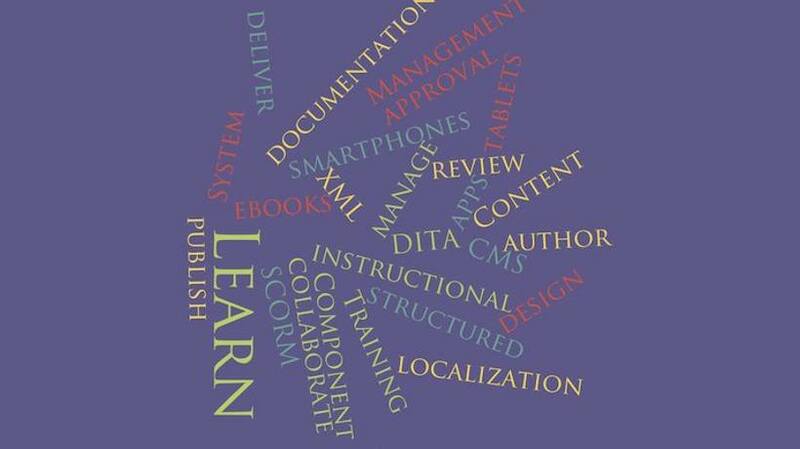 Corporate eLearning / Is DITA The Answer For Learning & Training? Is DITA The Answer For Learning & Training? You can author, manage, and deliver your Learning & Training content in multiple languages and formats on smartphones, tablets, e-books with DITA XML and a good Component Content Management System (CCMS). The cost savings downstream can be substantial, but there is work to be done upfront. How do you know whether your organization is a good fit for a structured content L&T solution? We talk to a lot of customers who develop Learning & Training courses and help systems. Their challenge today is to deliver content to multiple audiences in multiple formats and languages, while at the same time taking advantage of every possible efficiency to keep costs low. Many of these customers have found the ideal solution is an easy-to-use, end-to-end system that supports automated delivery to browsers, smartphones, tablet apps, e-readers, books and PDF from a single information source. For years the dream of Learning & Training directors has been to use structured content systems like XML to get results like these. The promise was that product documentation written in XML could be stored in a repository and then reused by learning systems to generate student guides, instructor handbooks and online training. The problem was that these systems were difficult to implement and maintain. With no standard way to categorize information and no standard architecture to link or share content, each system was built from scratch and didn't integrate well with other learning and content management systems. They were white elephants, destined for extinction. The next evolution of learning systems began about 10 years ago with the introduction of DITA. Developed in consultation with leading Learning & Training experts, DITA is based on XML but also supports open source standards for categorizing, linking and sharing content. It eliminates many of the issues faced by earlier systems. Over the past five years, a growing community of L&T developers have started using DITA to build state-of-the-art, SCORM-compliant training solutions. With integrated tools for authoring, storing, publishing, and localizing content, they are designing and implementing unified content development environments that improve efficiency and reduce costs. The best of these environments get results that go beyond cost savings and actually improve the quality of the training content itself. Delivering targeted information at the point of need, in the right language and on the preferred device, increases customer satisfaction. In addition, DITA’s use of goal-oriented topics keeps the focus on the tasks at hand, the real-world activities that customers need to do to be successful. By separating training content from presentation (style, format, etc. ), instructional designers are free to concentrate on what they do best instead of spending half their time fussing with fonts. A good Component Content Management System (CCMS) gives training teams a tool to collaborate and share work, securely accessing materials for discussion, review and approval. For training managers, reusing modular materials from a single source repository means less duplication and less maintenance, making it easier to catch errors before customers see them. After launch, feedback loops can be built so developers can even student and instructor comments and suggestions right in the authoring environment. Finding reusable modules is fast and easy with smart search that digs deep inside your content. The metadata coded into DITA tags enables users to refine a search by narrowing the choices to a particular category or classification, and order the results based on their needs. It is the same kind of search used by e-commerce sites, where you navigate the database for items in a classification like Fishing Rods, then search for items in a certain price range, or with selected features. Companies that are growing rapidly will have to think seriously about future-proofing all their content creation and delivery systems. The world is changing rapidly, and your audience expects to be able to access content when they want and how they want. Organizations that get it right will have a huge competitive advantage. Companies that are expanding globally can manage their multilingual content and automate their translation workflow. Companies that are currently using DITA for technical documentation and/or marketing can take advantage of content reuse. Companies in highly-regulated industries that need to meet regulatory standards for employee training and safety will benefit from audit trails that are built into some authoring tools, including easyDITA. Forward-thinking companies who are producing learning products for smartphones and tablets that dynamically adapt to the learner’s location, skill level, role, etc. Companies that need to add assessment capabilities to their learning and training materials. Every organization is unique, and the solution to your Learning & Training challenges begins with a conversation about your goals and how to best reach them. Without a content strategy that is agreed to by all stakeholders, successful implementation of a structured content solution is nearly impossible. Lay the foundation right, and you will build something that stands the test of time.